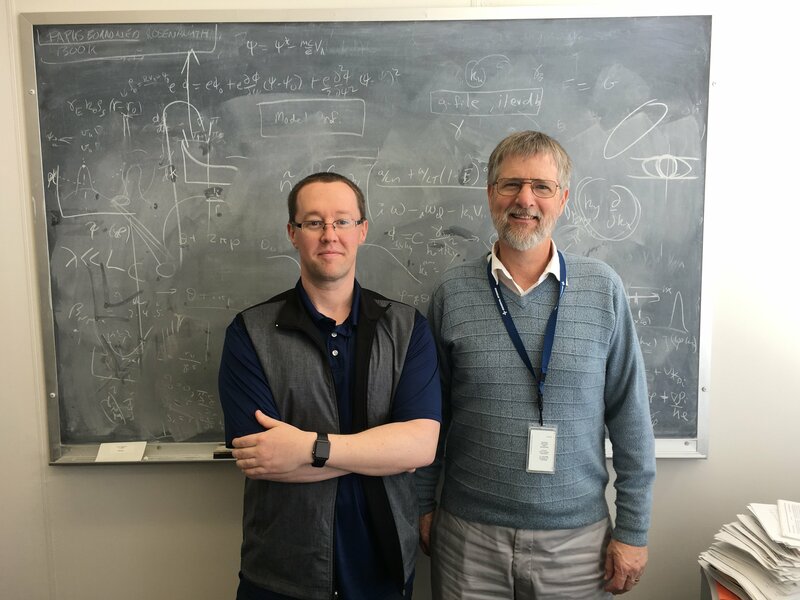 Physicists Brian Grierson of PPPL and Gary Staebler of General Atomics. Credit: Shaun Haskey. Researchers looking for to bring combination– the power that drives the sun and stars– down to Earth should initially make the state of matter called plasma superhot sufficient to sustain combination responses. That requires warming the plasma to lot of times the temperature level of the core of the sun. In ITER, the worldwide combination center being integrated in France to show the expediency of combination power, the gadget will heat up both the complimentary electrons and the atomic nuclei– or ions– that comprise the plasma. The concern is, exactly what will this heating mix do to the temperature level and density of the plasma that are important to combination production? New research study suggests that comprehending the combined heating demonstrates how we might enhance the production of combination in ITER and other next-generation combination centers– a crucial finding of physicists at the United States Department of Energy’s (DOE) Princeton Plasma Physics Lab (PPPL), the DIII-D National Blend Center that General Atomics runs for the DOE, and other partners. “This reveals exactly what occurs when electron heating is contributed to ion heating,” stated PPPL physicist Brian Grierson, who led screening of a computer system design that forecasted the DIII-D leads to ITER. The design, produced by Gary Staebler of General Atomics and reported in a paper in Physics of Plasmas with Grierson as very first author, examined the DIII-D speculative lead to conditions imitating those anticipated in ITER. Diagnostics provided by the University of Wisconsin-Madison and the University of California, Los Angeles determined the resulting turbulence, or random variations and eddies, that happened in the plasma. The measurements exposed turbulence with short-to-long wavelengths triggered by electron and ion heating, respectively. The mix produced “multiscale” turbulence that customized the method particles and heat leakage from the plasma. Turbulence can decrease the rate of combination responses. The combined electron and ion heating changed the gradient, or spatial rate of modification in the plasma density. This finding was considerable since the combination power that ITER and other next-generation tokamaks produce will increase as the density grows higher. 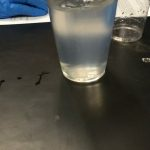 Additionally, the boost happened without triggering pollutants to build up in the core of the plasma and cool it down, which might stop combination responses. The researchers utilized a “lowered physics” design called TGLF that streamlined the enormously parallel and expensive simulations of multiscale turbulence that need countless hours of computing time on supercomputers. The scientists ran this streamlined variation numerous times on PPPL computer systems to evaluate the effect on the design of unpredictabilities coming from the DIII-D experiments. The design looked particularly at the effect of electron heating on the general heating mix. Scientists produce such heating by intending microwaves at the electrons gyrating around electromagnetic field lines– a procedure that increases the thermal energy of the electrons, transfers it to the ions through accidents, and supplements the heating of the ions by neutral beam injection. 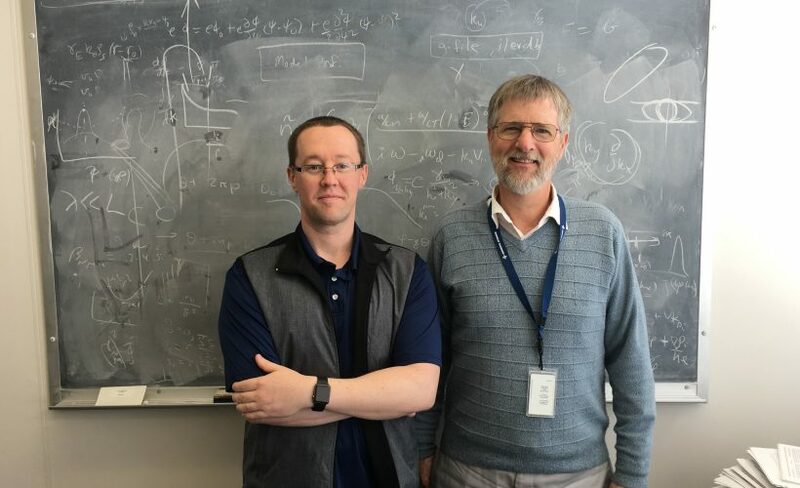 Outcomes suggested that studying multiscale turbulence will be vital to comprehending ways to handle the multiscale result on the transportation of heat, particles and momentum in next-generation tokamaks, or combination gadgets, Grierson kept in mind. “We have to comprehend transportation under ion and electron heating to with confidence forecast to future reactors,” he stated, “since combination power plants will have both kinds of heating.”. New unstable transportation modeling reveals multiscale variations in heated plasma.